A sausage sizzle, with plenty of talk on Lyme and handing out awareness brochures and selling Lyme awareness merchandise. There will also be face-painting to keep the little ones amused. Please note - Due to unforeseen circumstances the public screening scheduled for the 15th of May has been postponed to a date later in the year. 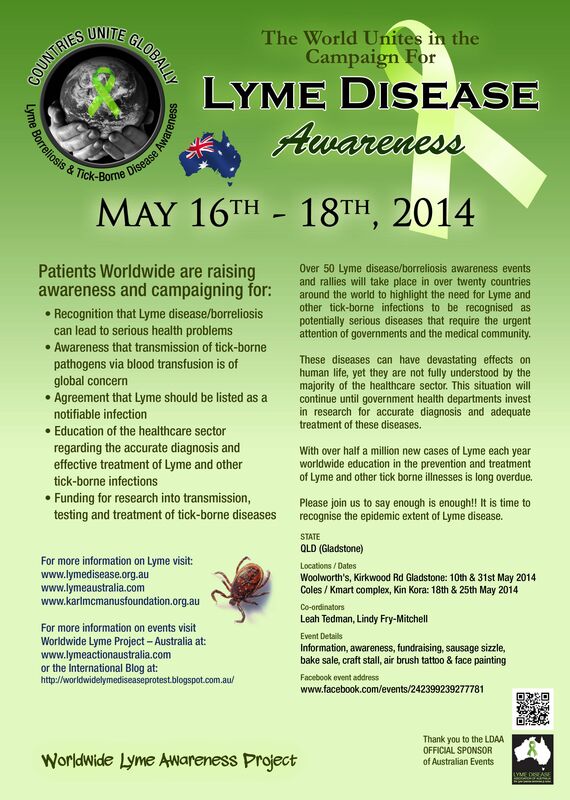 The library will however still have information pamphlets on Lyme disease at their counter from May the 12th through to the 23rd. Awareness Event: ﻿Public Screening of Award Winning Documentary "Under Our Skin"
Date& Time : See opposite: Alternative date to be confirmed for later in the year.